Both Sides Now was a UK touring programme of artists’ film and video works from China and Hong Kong, and an exhibition and screening of work from UK, China and Hong Kong at Osage Art Gallery, Hong Kong. In the UK, a programme of 20 films from China and Hong Kong were shown at Whitechapel Gallery, Star and Shadow Cinema (Newcastle), Duke’s at Komedia (Brighton), Floating Cinema (Canalside, Granary Square, London), and FACT (Liverpool). The programme was curated by Isaac Leung, Chair of Videotage, Hong Kong. The programme contained a mixture of work by artists, music videos and artist documentaries. Artists in the programme included Ellen Pau, Cheng Chi Hung, Choi Sai Ho, Linda Lai and Lee Kit. In Hong Kong, an exhibition of UK and Chinese films was exhibited at Osage Gallery and a screening and talk at British Council, Hong Kong; the UK programme was curated by Jamie Wyld, Director of videoclub. The programme contained work by artists such as Charlotte Prodger, Mikhail Karikis and Uriel Orlow, Sebastian Buerkner and Sophie Beresford. 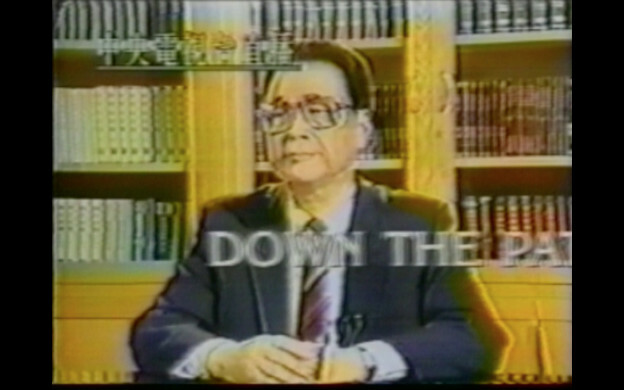 Both Sides Now was developed by videoclub and Videotage to open up dialogue between artists, audiences, academics and curators across the UK, Hong Kong and China. And to enable a longer term programme of work to be established of artists’ moving image cultural exchange between UK and China.